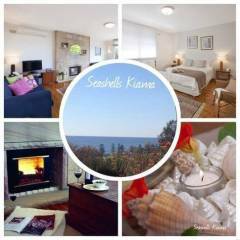 Kiama Shores Motel is fast becoming Kiama's best kept secret for accommodation! Offering 50 spacious air conditioned rooms (22 with double spas) all featuring new wide screen digital LCD TVs (42"), 9 Foxtel channels including movies and sports channels and 23 Digital stations. New Egyptian cotton sheets are on all of our queen size beds. 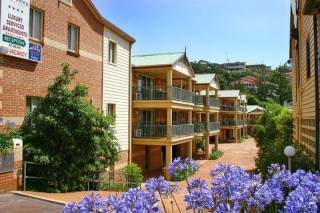 Kiama Shores Motel is quality Kiama accommodation at an affordable price. Easy Walk to the Main Street, Kiama Harbour & Kiama Blowhole and Kiama's Cafe's and Restaurants. Across the Road from the Historic Kiama Terrace Cottages and the Central Park, and next door to the newly renovated Kiama Leagues Club. The first Motel as you enter Kiama. Winner "Southern Business and Tourism Award for Excellence". 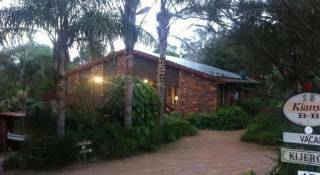 Just over 90 minutes south of Sydney by Express Rail or F6 Motorway. Kiama has everything, Game Fishing, Minnamurra Rain Forest, 7 Mile Beach, Jamaroo Fun Park, great Surfing, Lush Rolling Hills with historic Dry Stone Walls, Kiama - Gem of the Illawarra. Please click on Kiama attractions above for detail information on Kiama. Kiama Shores Motel strives to provide responsible, safe and professional service of alcohol. abide by the conditions of our liquor licence. Staff are on hand to assist guests/customers in enjoying their time at Kiama Shores and to assist in their decision to drink in moderation and, where appropriate; avoid drinking activities that put guests/customers at harm or risk. Management is committed to adhere to all liquor licensing laws. Where we refer to ‘the premises’ we mean Kiama Shores Motel, including all onsite facilities, the entrance, pool area, lawn courtyard and the car park. • Management reserves the right to cease the sale of any product at any time. • We reserve the right to limit the number of drinks or amount of alcohol purchased. • ID must be shown for anyone staff believe to be under 25 years of age. • We will ensure that water is available free-of-charge in the premises. • We will ensure that snacks are available for purchase whenever alcoholic beverages are sold. • We will not permit a guest/customer to ‘stockpile’ more than two drinks. • We cease the trading of all alcoholic beverages between the hours of 830pm and 10am. • We will refuse service of alcohol to any person who displays any signs of intoxication (as per RSA), is affected by drugs, cannot prove their age or is generally unruly. • We want all of our guests to enjoy themselves and won’t tolerate violence, aggressive or offensive behaviour or harassment. Anyone persons, who in the opinion of staff are exhibiting these behaviours will be refused service and escorted to their abode. • In extreme cases, as deemed fit by staff, insubordinate guests can be evicted. All staff involved in the sale and/or service of alcohol must have completed an approved Responsible Service of Alcohol (RSA) course. At no time are staff to encourage excessive or unsafe drinking practices. We are committed to ongoing training to deliver best possible adherence to our policy. • is, or is suspected of being, in possession of any illicit substance. We reserve the right to define ‘intoxication’ for this purpose. • No minor will be served or allowed to consume alcohol under any circumstances. • Anyone approaching the Front Desk with the intention of acquiring alcohol must be able to provide proof of age identification. This may be requested at entry, at the Front Desk, or elsewhere on the premises. We can refuse service, if a guest/customer is unable to produce a form of identification that is acceptable to us. • Student ID or other photo ID cards are not acceptable forms of proof of age. Kiama Shores offers, and actively promotes a full range of non-alcoholic and low alcoholic beverages. This includes soft drink, tea, coffee and water. Further, it is a commitment of Kiama Shores that a variety of low strength and mid strength beverages are offered. They are displayed prominently and always at a lower price than their full strength counterparts. Kiama Shores is located within the heat of Kiama; It is asked that guests please leave the premises and surrounding area clean and with minimal noise. Guests, who make excessive noise, loiter in communal areas or otherwise disrupt the good order of the motel or neighbourhood will asked to leave the immediate vicinity and retire to their abode. Taxi services are available upon request at the Front Desk. All guest rooms have compendiums stating the local Taxi Service contact details, as well as being equipped with phones. The credit card provided in the booking details will be charged if a booking is cancelled with-in 48 hours prior to the intended day of arrival or failure to arrive. Different special rates have different cancellation terms. The conditions will be in the room package description. Special promotional rates such as 2 Nights minimum stays and Advance Purchase rates are not able to be changed or cancelled. 1. A stay at KS is conditional upon supply of a valid Credit Card at which a bond will be held and/or the provision of a cash Bond (amount of credit card or cash bond at discretion of KS) Bonds are taken for the security of the room and for but not limited to incidentals and for matters mentioned below. 2. If in the course of my stay, should any additional expenses including but not limited to those mentioned below become apparent I authorise KS to charge my credit card or take from a cash bond an amount appropriate to the expense, at a rate determined by the management of KS. 3. Expenses chargeable to guest accounts may include, but are not limited to: additional room cleaning, lost or stolen keys, room degradation, stolen or damaged room items. An amount be charged will be determined by the management of KS. 4. I acknowledge all rooms are non-smoking and smoking in the room will attract a minimum $100 cleaning expense plus possible fire brigade fees. 5. There are NO Refunds for early or unscheduled departures. 6. Check out is at 10am. Departure after this time may incur additional room charges and expenses. 7. All guests are asked to respect fellow motel patrons as a condition of stay; this includes keeping noise levels to a minimum at all times and not being aggressive to staff or to Motel patrons. 8. KS at its absolute discretion can evict those guests not willing to comply with the conditions of stay and in particular clause 7 above. No refunds will be provided if guests are evicted and they will still be liable for any expense in this agreement and for any other expense they are liable for during their stay. 9. I agree any monies or other valuables, goods, chattels, any other property or vehicles (“items”) that belong to me or my guests, brought in or on to the rooms, grounds, car-park, Cafe or other property of KS remain my responsibility and KS is not responsible for their safekeeping and that KS is not liable to pay any compensation or make good for these items. 10. No responsibility is taken for any items which are left by a guest at the premises (Please check all wardrobes and drawers before vacating the property). Circumstances permitting, we will store any 'found' lost or left items until collection can be made. KS is not liable to make good or pay any compensation for any items lost or left behind. 11. I agree to advise and make aware all persons who are with me at KS of the conditions of stay and I must indemnify KS and keep KS indemnified against any claim made by these persons against KS. 12. This agreement states all the express terms agreed by the parties and it supersedes all prior contracts, obligations, representations, conduct and understandings. Further, this agreement continues to operate after the stay.